Dive Industry Foundation | "Promoting Economic Development in the Dive Community"
The Dive Industry Foundation is looking for Mermaids in our industry who like to work with non-profit, environmental organizations. 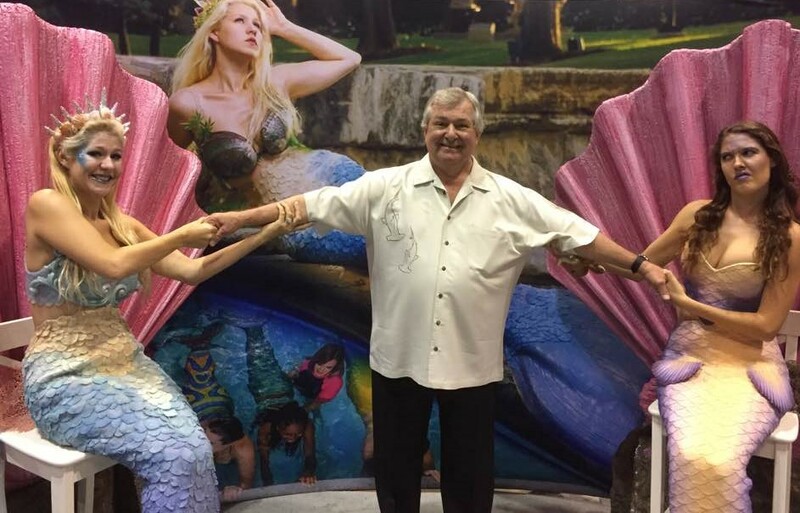 One of our friends in the industry has worked with Mermaids in the past and needs our help identifying Mermaids, Mermaid Organizations and Non-profit Environmental Organizations. Dive Industry Foundation accepts that challenge and we need your help. The Foundation already has an industry database that contains many non-profit, marine & environmental organizations and their Key People. We are now looking to add Mermaids and their companies to our database. If you can help us identify this group, please have them send their picture, bio, contact information and any recent press releases they have to gene@diveindustry.org We will showcase one Mermaid and the work they do, every week, in Dive Industry Association’s Weekly News. Let’s have fun with this and give some credit where credit is due. Please stop by our Booth 447 at the DEMA Show. Here is what you will see. 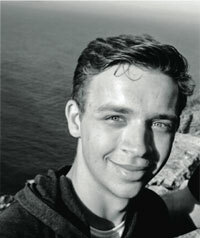 It is a great pleasure to announce that Mr. Daniel Copeland, age 23, from North Wales has been selected to be the 2015 European Rolex Scholar of the Our World-Underwater Scholarship Society. Daniel Copeland, 23, has always enjoyed learning about, understanding and experiencing different aspects of the natural world. Despite this underlying passion, and a childhood living along the coast of North Wales, his plan throughout most of high school was to follow a path in electronic media and graphic design. It wasn’t until he took his first breathes underwater during an introductory ocean dive in a harbor in Malta, that Daniel’s love for the underwater world rapidly bubbled to the surface. During that dive, he was captivated by an unlikely encounter with a colorful and curious cuttlefish – an experience that changed the direction of his life forever. Over the next few years, Daniel gained his PADI Open Water diving certification in Turkey, enrolled on an Open University, self-taught course in marine science, and embarked on a month-long expedition to Ecuador. Here he was fortunate enough to experience the rich marine biodiversity of the Galapagos archipelago, snorkeling with sea lions, sharks and penguins during a week tour of these famed islands. He was hooked! A career revolving around the underwater world was now the only path for him. 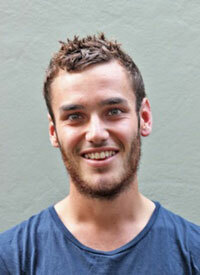 Daniel took a year out from education to further his diving skills and continued travelling to foreign shores. He spent three months immersed in the scuba culture of Thailand’s islands, where he was trained as a PADI Divemaster and to service Aqualung regulators. Daniel then headed to Mexico’s Yucatan peninsula, to experience an unforgettable introduction to cenote diving, and to unexpectedly attend the world’s second largest underwater wedding! Daniel completed his degree in Zoology at the University of Sheffield in 2014. Although he was distant from the sea, Daniel managed to keep the underwater world a constant during his studies. He became a member of the university’s sub–aqua club, serving on the club’s committee and participating in the organization and management of various dive trips around the UK. Through the club he was trained as a drysuit and Nitrox diver, and later began teaching fellow students as a BSAC Assistant Diving Instructor. In 2012 Daniel interned at the Marine Discovery Centre at Landaa Giraavaru in the Maldives, where he assisted the resident biologists with their turtle rehabilitation, coral reef propagation, and fish breeding programes. It was here that Daniel also helped the Manta Trust collect photo ID data of manta rays within Baa Atoll and the world famous Hanifaru MPA. He went on to assist other scientists studying marine megafauna, including tagging whale sharks in Tanzania and supporting another manta ray researcher in Indonesia. His final year research project focused on gender differences in the skin morphology of lesser-spotted catsharks, whilst his dissertation assessed the effectiveness of ecotourism in the conservation of elasmobranchs. Throughout his experiences, Daniel has enlisted different ways of sharing his passion for the underwater world. He has organized stands and given public presentations on manta conservation at several UK dive shows, and recently helped to manage a Scottish festival dedicated to basking sharks. Putting his existing media skills to good use, he has collaborated with marine NGOs to spearhead multiple online campaigns to garner public support of protective legislation for sharks and rays, reaching an audience of more than four million people. After developing a keen interest for underwater photography and videography, he placed 2nd in an amateur wildlife film competition ran by a popular UK natural history TV channel, with a one-minute film on blue sharks. Over the years, Daniel’s desires have developed from pursuing a career in the underwater world, to developing one where he also plays a part in conserving it. Despite the armada of anthropogenic impacts that threaten our oceans, Daniel believes that the biggest challenge is inciting the world to care about these threats in the first place. His goal is to gain a better understanding of how to reconnect people with the ocean using a variety of different strategies – after all, a world that continues to be disconnected from its marine environment will have no interest in fighting to protect it. Daniel is honored to be appointed the OWUSS European Rolex Scholar for 2015, and believes it will provide an invaluable opportunity for him to learn how he can play a role in rekindling a love for our blue planet. It is a great pleasure to announce that Mr. Ben Buchan, from New South Wales, Australia has been selected to be the 2015 Australasian Rolex Scholar of the Our World-Underwater Scholarship Society. I grew up on the Central Coast of New South Wales, and have lived within 10 minutes of a beach since I was 11 years old. For as long as I can remember, I have had a deep fascination with the marine environment, and have always had the desire to learn as much as possible. I gained my open water diving certification at the age of 15 as part of my marine studies class at high school, which is when I became addicted to diving. Upon the completion of my Higher School Certificate in 2010, I started my Bachelor of Marine Science in 2011 at Macquarie University, North Ryde. Through my studies, I became more passionate about the marine environment and I was offered the opportunity to volunteer in Cambodia in the initiation of a coral reef regeneration project with Reach Out Volunteers. For an entire month in January of 2012, I stayed on an island called Koh Rong in Cambodia, in a tiny village that had not had any western influence. The reef around this village was so degraded from the use of non-sustainable fishing practices, including the use of dynamite. Over this month, the team I was part of removed over 100 nets from the surrounding reef, and focused on teaching the village proper and sustainable fishing practices. It was through this time I realized the significance that education and public awareness has on the conservation of continued protection of the marine environment. I left Cambodia with the desire to share my knowledge and experiences of the ocean with as many people as possible. Back in Australia, I continued my commitment to Reach Out Volunteers, and begun recruiting other students to volunteer in a range of environmental and community development projects around the world. In 2013, I became a scuba instructor, and have since been able to share my passion and knowledge of the marine environment with my students that have been from all around the world. As part of my university degree, I secured a volunteer position at Manly SEA LIFE Sanctuary, and was involved in many aspects of animal husbandry from feeding, cleaning, and monitoring life support systems from rescue animals. 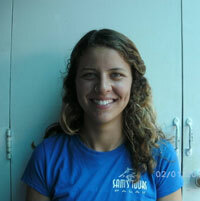 I had the opportunity to work with animals from small fish and invertebrates, to large sharks, turtles and stingrays. Here, I had the unique opportunity to share the importance of marine conservation with a diverse audience. Before my final semester or university in January of 2014, I returned to Koh Rong in Cambodia to again assist in the continuation of the coral reef regeneration project. I was inspired by the new attitude of the village towards the marine environment, and overwhelmed by the increased health of the surrounding reef. Over the course of January of 2014, I certified 35 volunteers for their open water course, and as a team, we deployed artificial reef pods to aid in the growth of this reef system. Now, there are over 100 artificial pods surrounding this growing reef, and the project continues today, with volunteers constantly traveling to aid in the program. In June of 2014, I graduated with a Bachelor of Marine Science, and begun working as a Shark Dive Coordinator at Manly SEA LIFE Sanctuary, having the unique opportunity to not only introduce people to the diving experience, but get them up close and personal with large Grey Nurse sharks, education them about the importance of shark conservation. I have since begun my Master of Marine Science and Management at Macquarie University, and am currently focused on the social behavior of sharks. I am currently living on Heron Island as a dive instructor, again having the opportunity to share my passion for diving, and the marine environment, with a particular focus on the importance of the Great Barrier Reef system. I look forward to the opportunity to add to my list of experiences, and participate in a number of important marine projects throughout the scholarship year.